Defence SA is hosting a three-day series of meetings between the local defence industry and LAND 400 Phase Two bidders, BAE Systems Australia and Rheinmetall Defence Australia. 63 South Australian companies will take part in the workshops, showcasing their capabilities to the LAND 400 bidders with a view to joining the supply chain for the $5 billion second phase of the program. Defence Industries Minister Martin Hamilton-Smith said the meetings form part of the Department of Defence’s nation-wide LAND 400 Phase Two workshop program. According to him, each company will have five minutes to pitch to the two LAND 400 bidders, plus five minutes of question time. “In South Australia we have long campaigned for maximum Australian industry involvement in key Defence programs and are fully supportive of this opportunity for our local industry to showcase their capabilities to the LAND 400 Phase Two bidders,” Mr Hamilton-Smith said. The Minister said South Australia was “the natural home for the LAND 400 Phase Two program”, with a skilled workforce capable of delivering the most complex defence projects. “We are already building the industrial ecosystem to support the LAND 400 program,” Mr Hamilton-Smith continued, adding that the workshops will be held around the country, starting last week in Geelong and finishing in Hobart in December. “Our unique combination of a significant army presence, the RAAF Edinburgh ‘Super Base’, the largest DST Group establishment and the most extensive and capable exercise and testing ranges makes South Australia the best location for the program,” the Minister concluded. 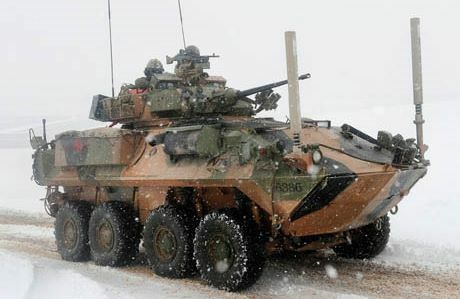 Phase Two of the LAND 400 program involves producing up to 225 combat reconnaissance vehicles plus up to 35 years of sustainment and upgrade work.